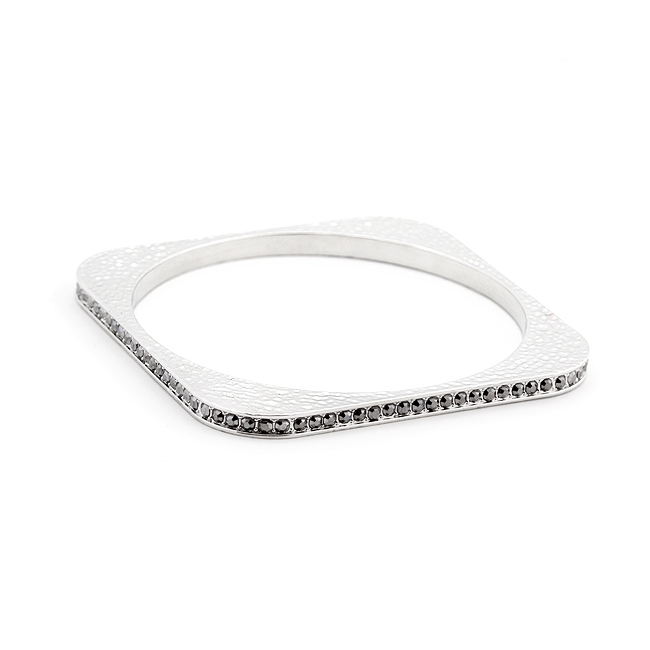 Whether stacked or solo this beautiful square shaped bangle brings the enough edge and polish to any outfit. 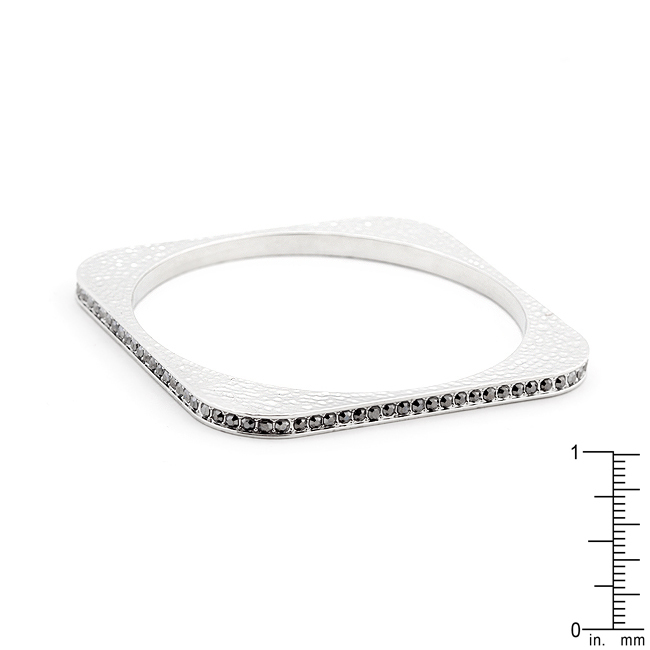 Fashioned with glimmering stones an edgy hammered design and pretty stones surrounding the sides it's a fun accompaniment for all arm parties. Our silver tone finish is heavily coated to achieve its beautiful silver color.